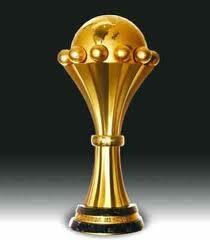 The quarter-finals to the African Cup of Nations (Coupe d’Afrique des Nations) tournament took place yesterday. The African Cup of Nations is a highly followed soccer tournament to which all African nations participate. In essence, all African nations play qualifiers which ensures that about 16 nations on the continent will get a chance to play at the African Cup of Nations. Since 1968, the tournament has taken place every two years, and every even year during the month of January and ends around mid-February: one month of intense fun. If you are an avid soccer fan, as I am, you would love watching some of the greatest African teams and stars at their best (sometimes, at their worst too). Recently, the pressure of big money FIFA has forced a change into the schedule of the CAN, forcing the tournament to now take place every odd years, so as ‘not to clash with the soccer world cup‘ (this change was forced by European big clubs/leagues to whom many African players belong). The African Cup of Nations (CAN) tournament was first held in 1957 in Sudan, and only three countries participated: Egypt, Sudan, and Ethiopia. Egypt has won the cup seven times, making it the record holder. In recent years, Egypt won the cup three consecutive times. Cameroon and Ghana follow behind Egypt and have both won the tournament four times. Cameroon and Egypt are not participating at this year’s African Cup of Nations, but Ghana is… and there is a strong chance that they might win the cup this year. 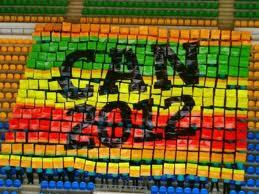 This year’s tournament, the 2012 CAN, is held in two countries: Gabon and Equatorial Guinea. I believe that the final this year will be between Ghana and Côte d’Ivoire: the Black Stars vs the Elephants. Although my heart is with the Elephants of Didier Drogba, I have slight edge towards Ghana of Michael Essien. My dream is to see an African cup of Nations where all the coaches of African teams would be African… I might have to wait a long time to see this, but in the meantime enjoy! Mali just knocked out Gabon in penalty kicks and will be facing Côte d’Ivoire in semi-finals (this promises to be a good game). The face-off to the other semi-final will be Ghana-Zambia, as Ghana defeated Tunisia 2-1. Let’s wait and see!